Bee Guild members volunteer to capture honey bee swarms on private or public property–in most cases–for free. 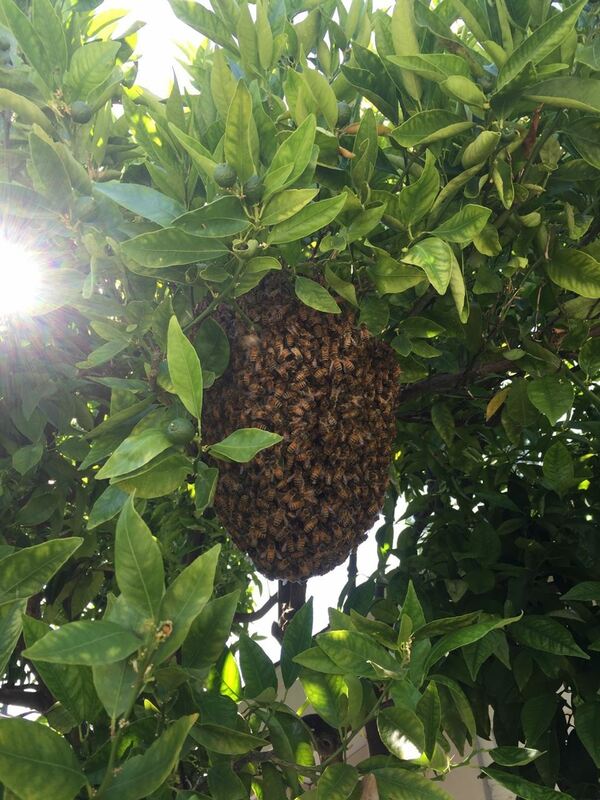 If you have a swarm on your property, don't panic. Bee swarms are a natural response to an overcrowded hive and half or more of the colony depart to look for a new nesting cavity. With no brood nest to defend they are at their calmest. A swarm may cluster for a few hours or a few days before flying off to their forever home. Not sure if you're looking at bees or wasps? A honeybee swarm is an obvious thing, but solitary insects may take a bit of sleuthing. Honey bees are not yellow. Check here before you call. 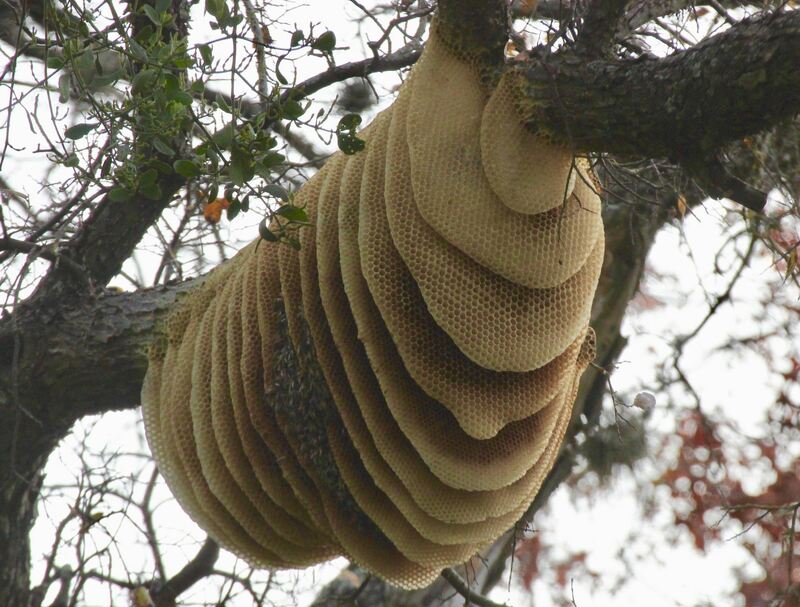 Text a photo to the beekeeper, if possible. Call the beekeeper closest to your location. If you cannot make direct contact, leave a message and continue calling through the list until you find someone to assist. Do not spray or douse the cluster as you may injure the bees. Enjoy the spectacle and wait patiently until a beekeeper can assist you. If you are satisfied with the swarm service provided consider making a tax-deductible donation to the Bee Guild! For swarm assistance in neighboring counties, click here. Mark Small Charges a fee and serves: Santa Clara County, San Mateo County, Alameda County, San Francisco County, Contra Costa County, Santa Cruz County, San Benito County, and Monterey County. Click on these regional bee associations who also offer swarm rescue.